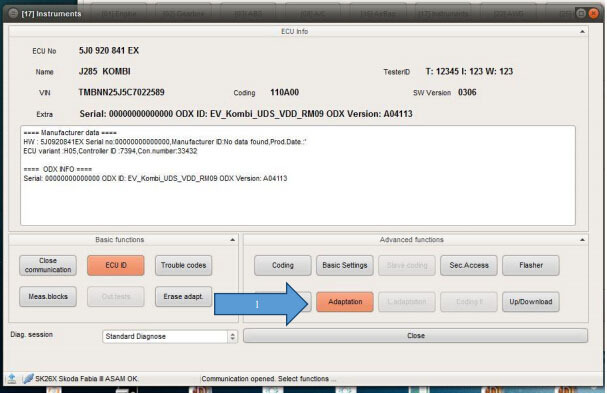 Here are examples to show you the basics of coding and the specific features of VCP software on a VAG CAN PRO cable..
VCP cable: clone or original? You are limited with some tasks, but it can be used to flash some cars components for a good price. 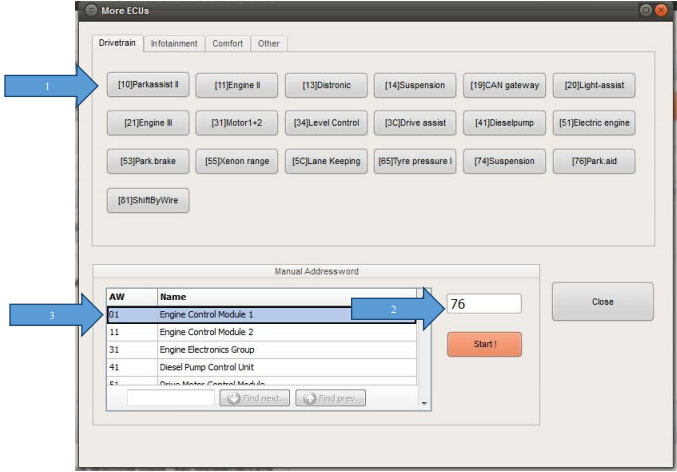 Has some guided functions, but again, limited… You can confirmed the function and car with the customer service at cardiagtool.co.uk and decide it. It will help save a lot if the clone can work for you. 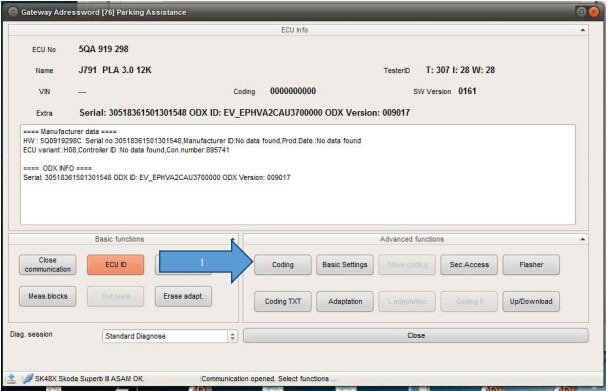 If you have used the manual selection, the ECU will connect automatically even if you later access this ECU, for example, via the Gateway or the fault memory. 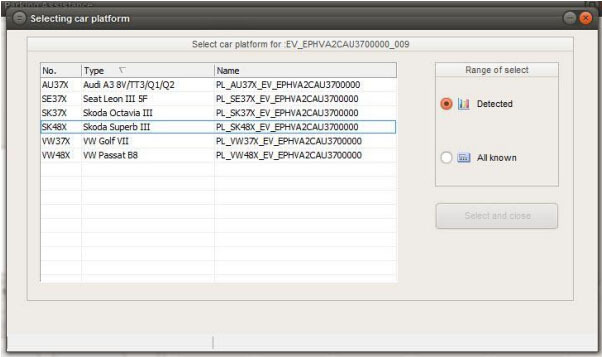 Vehicle Selection is used to make correct assignments of the Label files. Enter the Access code (1) and log-in (2). After successfully logging in you will receive a confirmation message in the status bar (3). 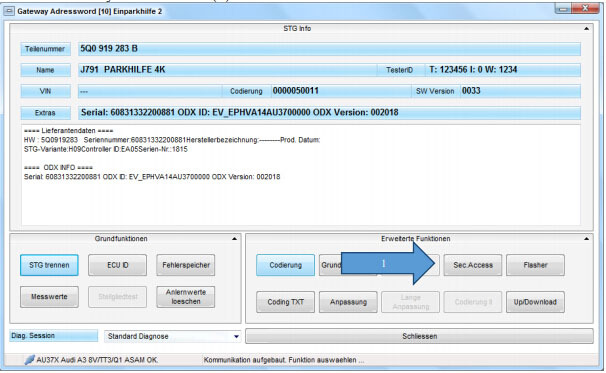 If the login is incorrect, or not fit for the particular ECU, you will also receive a relevant message in the status bar. After successfully logging-in you can close the dialogue window (4). 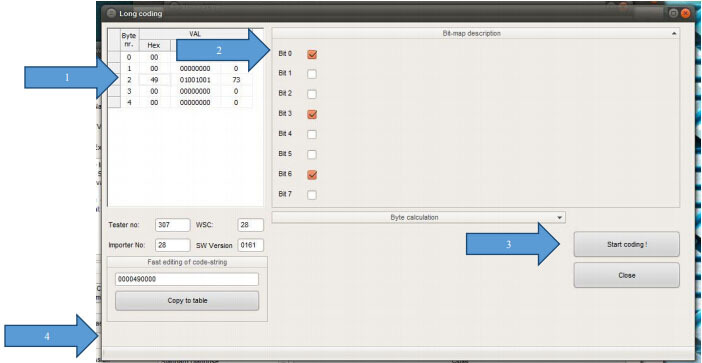 Select a byte (1) tick the Bit 0 field (2) and press the Coding button (3). The Status bar (4) will indicate whether the Coding was successful, otherwise, a relevant error message will be displayed. 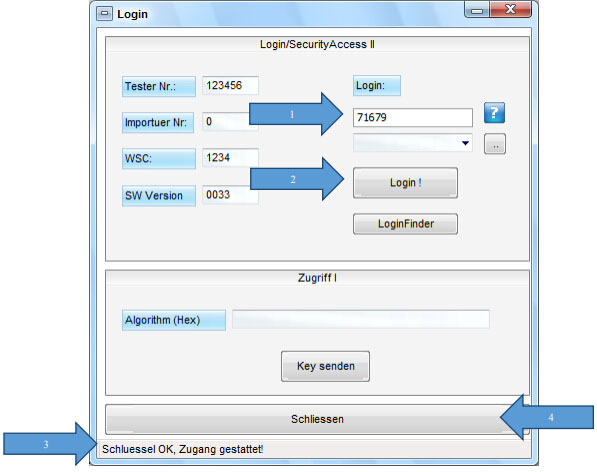 In our example the Access Code (described in the Secure Access section) was incorrect or not provided at all. The Coding was successfully completed. 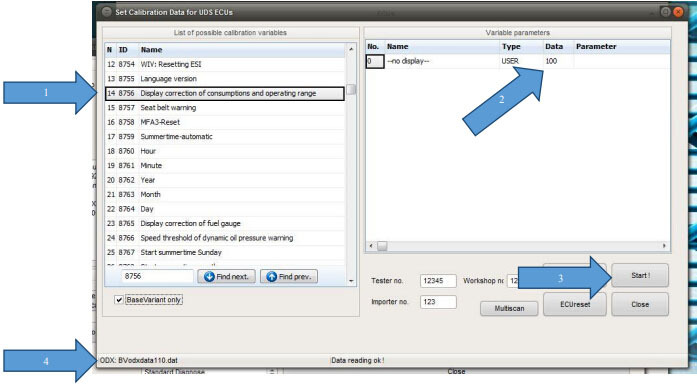 Select the appropriate entry from among the available Parameters (1) and adjust the value. In the example the default value of 100 was adjusted to 103 (fuel consumption). The Status bar (4) will indicate whether a Parameter set was correctly read and whether any problems were encountered while entering new values.